I have found that my clients want to be given a choice of options to choose from that are transparent and includes a comprehensive range of services, so my wedding collections have been designed with that in mind. To keep things simple I have four collections with prices starting at £1250.00. My two most popular collections being the York and Cambridge collections which include a second photographer and a luxury hand-finished album. Other collections and additional products are available to build your own personal bespoke photography collection including album upgrade, wall art etc. If you are planning a smaller intimate wedding where less coverage is required please get in touch to discuss a tailored collection to suit your personal needs and budget, subject to availability. Part day coverage is available midweek. Please get in touch via my Contact Me page, email or call 07982 077883 to discuss your wedding photography requirements. I offer a no-obligation consultation meeting at [the STUDIO] Girton Cambridge CB3. No-obligation consultation, at a place convenient to you, and photography by me for between 8 and 10 hours depending on the collection you select. Travel within a 60 mile radius of Cambridge. 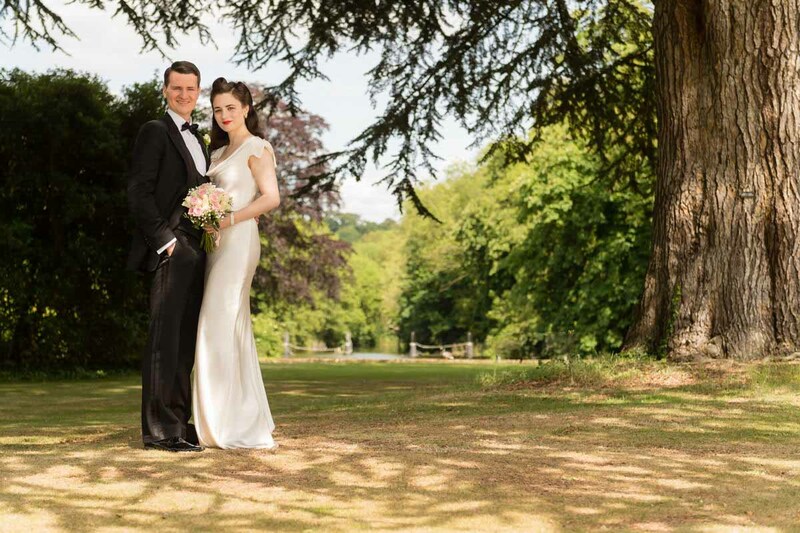 It was an absolute delight having Mark photograph our wedding day. Not only did he capture our special moments beautifully, but he did it in such a way that made both us and our guests feel incredibly comfortable. 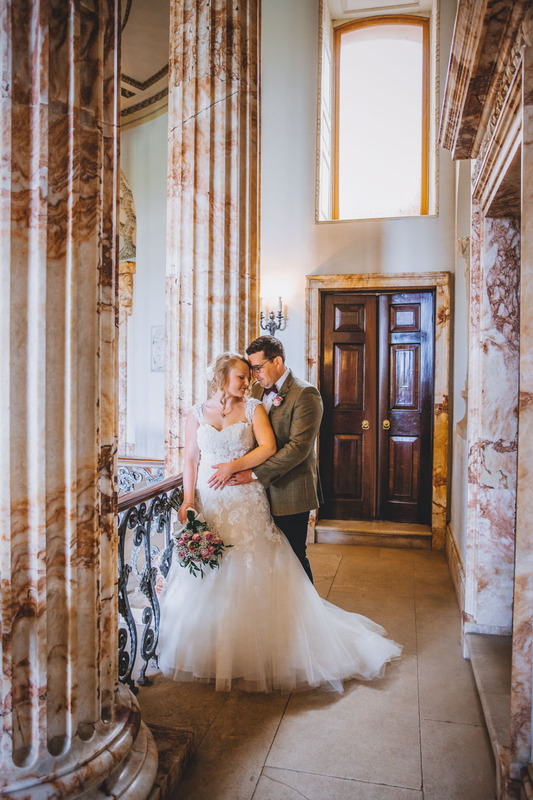 The before and after service that Mark offers is staggering, and as a bride and groom, we were made to feel special from our initial meeting with him up until this day 7 months after our wedding. We can’t wait for future celebrations so we can have Mark join us once again! First of all forming the base of all my album photography collections is the USB Memory Box. The Memory Box contains your personalised USB flash drive which holds all your edited digital print ready and screen resolution files. I also add a back-up disc of all those images to store in a safe place to ensure your memories remain secure. Your images come with a personal usage licence which grants you permission to share images with family and friends and in addition printing and publishing on social media. To get your Memory Box started and consequently to have something tactile to hold and thumb through I include a selection of 6x4 professionally printed images. Finally, a step by step guide outlines the process for selecting images for your amazing handcrafted album and your online gallery logon details and password to share amongst family and friends. All this is included in a beautiful presentation box. included in: York – Cambridge – Oxford Collections. The images saved to your USB will also be used to make an online password protected gallery. This makes image selection easier when it comes to selecting those for your album. It also allows you to share your gallery with family and friends. The unique password protects your gallery and only those with the relevant codes will be given access ensuring that your images remain safe and not open to be viewed publicly. From your gallery, you can ‘favourite’ images, share images direct to social media platforms and order prints from the gallery online shop. 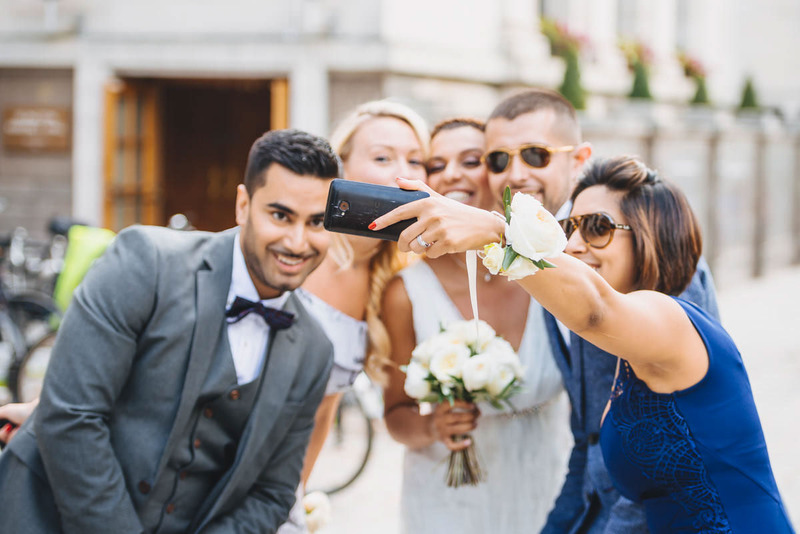 Your gallery will remain live for up to six months after your wedding day. included in: Digital – York – Cambridge – Oxford Collections. My now husband wasn’t keen regarding photography for the day, he is very awkward with his photo being taken. Our very first meeting with Mark was fab, he came to our home so we were in our comfort zone and he talked through all of our options. There was no hard sell just honest conversation. As soon as Mark left us that day we knew we had found our photographer. Mark did an amazing job in the run-up and on the day. We had great fun creating memories of our big day with him. He was reasonably priced which suited our budget, he offered the photo booth that we wanted, and he was superb personally from day one. The natural progression from the Memory Box is to have a beautiful stunning wedding album designed to tell the story of your perfect day. I will work with you to design your album from the images that you have selected from your online gallery. Working with a UK based industry leading album manufacturer I can guarantee your memories will be preserved in-between the printed pages of your beautiful album for generations to come. Depending on the collection you have chosen or the optional upgrades available to you you will have the choice between the amazing seamless storybook album or the exquisite Fine Art lay flat album. Both albums exude style and sophistication due to the amazing quality. Available in a wide range of sizes and album cover choices. Both album options come complete with a hard-sided keepsake box. Furthermore, other album choices, duplicate parent albums, and coffee table books are available. Please ask for more details. Is a Wedding Album worth the investment? Read my recent blog here to explain why I think so. You’ll be glad you did. Fine Art Matted Prints are a perfect in addition to your Memory Box collection. Ten 10x8 fine art prints beautifully presented in luxury boutique packaging. The matted prints feature a colour mount overlay and complementary card mount backboard. Available in a range of photographic and Giclée papers. Portrait and landscape formats with twelve mount colour options. Individual prints are available to order through my online gallery. Want something to act as a permanent, daily reminder of your wedding day? Something that you glance up at, smile at and are taken right back to a magical moment in your life? Creating your own bespoke piece of wall art is a perfect reminder of such an occasion. Choose from an exquisite range of carefully crafted wall products that will create a talking point in your home. The right frame can make an image pop. Choose something classic for a timeless elegance, Vintage with added opulence or Contemporary to add an edgy style. There are a plethora of styles of frames, canvasses, framed desk prints to suit your exact tastes and personalities. Once you have selected the image I will be on hand to help you choose the correct style of frame and mount that will compliment your home and your own personal style. Please contact me for a price list. The art of reportage photography is capturing an event in a documentary style. Rather than staging a series of photographs, the aim is to document an event as it unfolds. It’s about being able to see and anticipate what is about to happen. I will set out to capture those stolen intimate moments, the playful innocence of young children or the obvious pride on the faces of the parents. It’s those moments that portray the true feeling of the day that often go unseen, or are overlooked with more conventional forms of photography. Do you take formal group shots? My work is mainly reportage, and I will spend a large proportion of the day capturing natural images of you, your families and guests. I appreciate the need for some ‘formal’ shots and I am more than happy to orchestrate a selection of group shots as many people want a ‘roll call’ of their loved ones to remember. I would recommend keeping this to a limited number so that the flow of the day is uninhibited. It is important to achieve the right balance and ensuring that enough time is dedicated to you, the newly weds. We can discuss your requirements during our initial consultation meeting and agree the mix of formal and informal shots you would like to have in your collection. I normally dislike having my photo taken - can you help? It is very common to be nervous in front of the camera and I am often told by my clients that they don’t enjoy having their picture taken. Everyone is photogenic. if you feel relaxed a good photo is simply a reflection of your unique personality. Confide in me what you don’t like about yourself and I’ll work around it – we can do clever things to make you look your best, choosing the right angles and backgrounds. I’ll help you to feel relaxed which is the key to a natural photo. 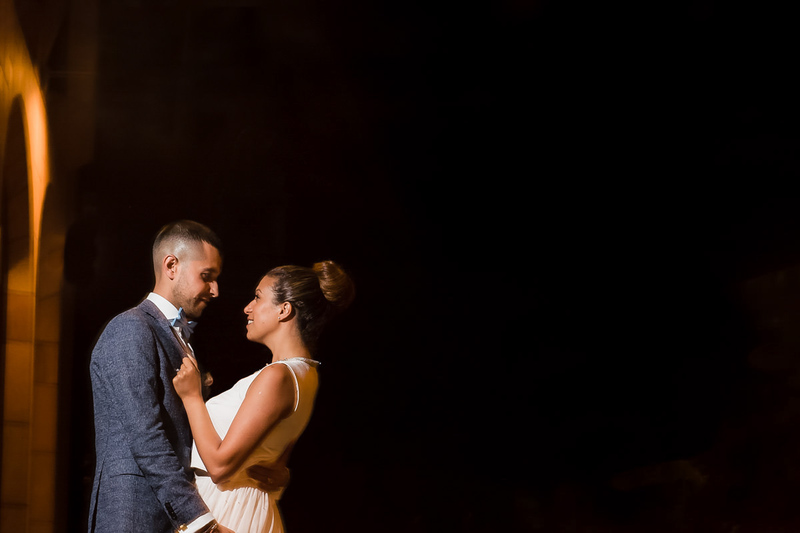 You might like to consider a pre-wedding or engagement shoot. It can help you get used to the camera and the experience of being photographed so it doesn’t feel unusual on your wedding day. Take a look at the pre-wedding page on this website to find out more. Absolutely. I have full personal indemnity insurance and public liability. I am based in North Cambridgeshire, and am often called upon to venues across London, Norfolk, Suffolk, Northamptonshire, Bedfordshire and surrounding areas. However if required, I am happy to travel across the UK and overseas. 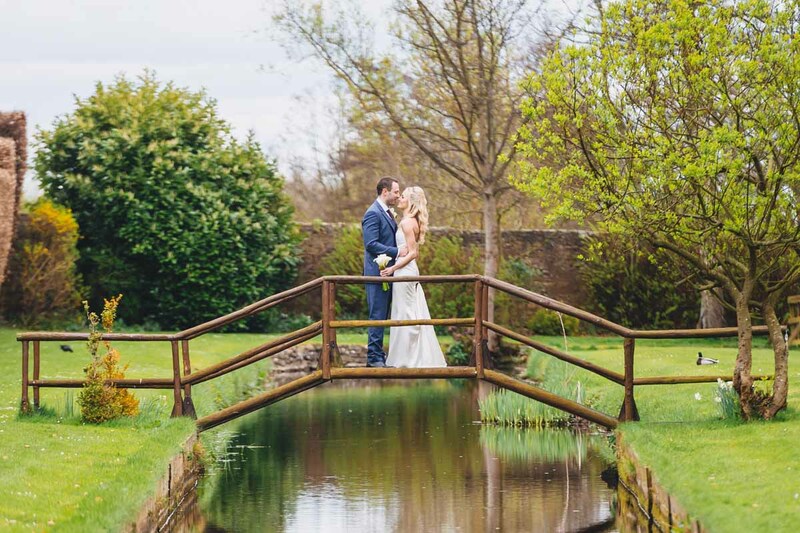 My wedding package includes travel within 60 miles of Cambridge, I may to add a surcharge for locations outside this area – always clarified with you beforehand. Do you have a photo booth that you can set up for the evening at the venue? I do offer a photo booth service, and these are often great fun at weddings. I will set up a studio backdrop, lighting and some props to create a pop-up photo booth at your reception venue and take images of your guests for about two to three hours from just after the first dance. Your guests can download a screen resolution file free of charge within three days of your wedding day. You of course will receive all of the images in screen and print resolution along with your wedding images. £300.00 (if booked with the wedding package). All the information I need from you at the start of our conversation is the date and the venue. 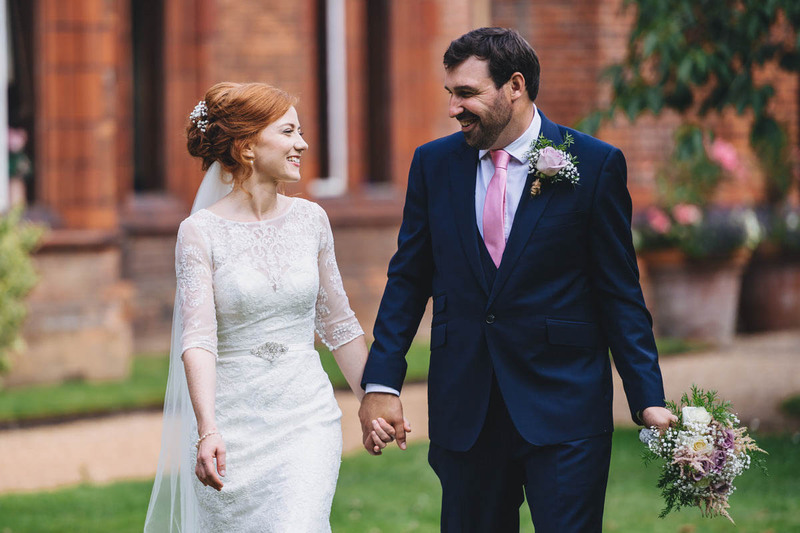 Contact me in the first instance using the contact me page of this website to check my availability or email me directly at mark@marknortcliffe.co.uk – if your wedding venue is a long distance away I will factor in the time required to travel there in my plans too. If my calendar is free I will provisionally save the date for you. We will then arrange the first consultation to discuss your wedding day in more detail. There’ll be no hard sell – I encourage all my brides and grooms to discuss this fully between themselves before going ahead. If you decide that you’d like to proceed I will give you a contract to sign and you’ll pay a £400 non-refundable booking fee by bank transfer into my account. The booking will then be confirmed and I’ll start to plan your day. See the pricing tab of the wedding page of this website for further information on costs.